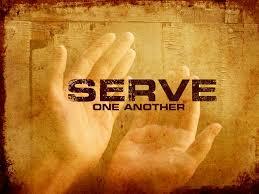 I talk about the, “Service within you” and how all of us have a need within ourselves to help others. And how that in good time more and more people will discover their true inner calling to service, to help another person is the greatest gift of all. p>Let’s make clear what is meant by “Service”. The word, “service” means; an act of, “Helpful” activity. What is most important though is that the act is a good act from the start. When such an act is moral and good and it becomes an action, we get “helpful for the good”. When I use or refer to the word service(s) in my communications, it means, “helpful for the good”. It means helping all life advance. It does not mean helping one (1) person advance, or helping a select few advance, it means helpful for the good of all. Try and think like this for a moment in asking yourself, “When last did I do something for the sheer advancement of another person?” This type of thinking is the antithesis to the way we all think today. And if there were ever the potential for a heaven on earth, a Kingdom come, we will all have to have begun thinking like this. Think about it.